It’s vital that organizations build competency in these areas. The future belongs to those able to get the best out of their data. We’ve seen industrial revolutions happen every 50-100 years. With each revolution, those slow to transition have become irrelevant. Today, the fourth industrial revolution is upon us, powered by the rapid rise of artificial intelligence (AI) and data analytics. 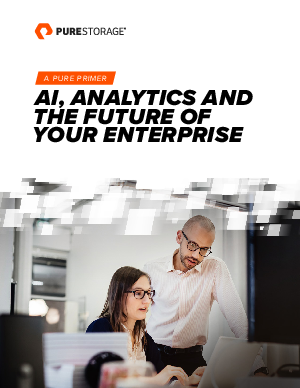 To thrive in a new, data-centric world, organizations will need the right skills, approach and tools – including a modern data platform and storage infrastructure. Storage is where your data lives. It delivers data when you need it at the speed of your business. And it needs to be built for the new era of big data.